Very nice to have a special typewriter. Very interesting! I wonder if the equal/minus slug was also a replacement. The numbers don't match. @Dwayne: I've noticed that, too. Also the `/^ has a 7 on the typeslug, maybe it's because they were not available in the same font, but it makes no difference because they're so simple. That's very cool, and a beautiful typeface. 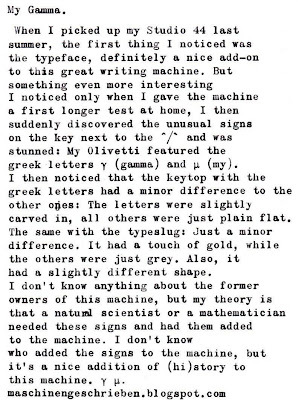 What did Olivetti call it? @notagain: Thanks. I actually don't know the name of the typeface. I'd risk to say that the previous owner was a chemist. Gamma and my are usually used as measures units. And I remember seeing my mother using the ^ as exponential, like 10^3. 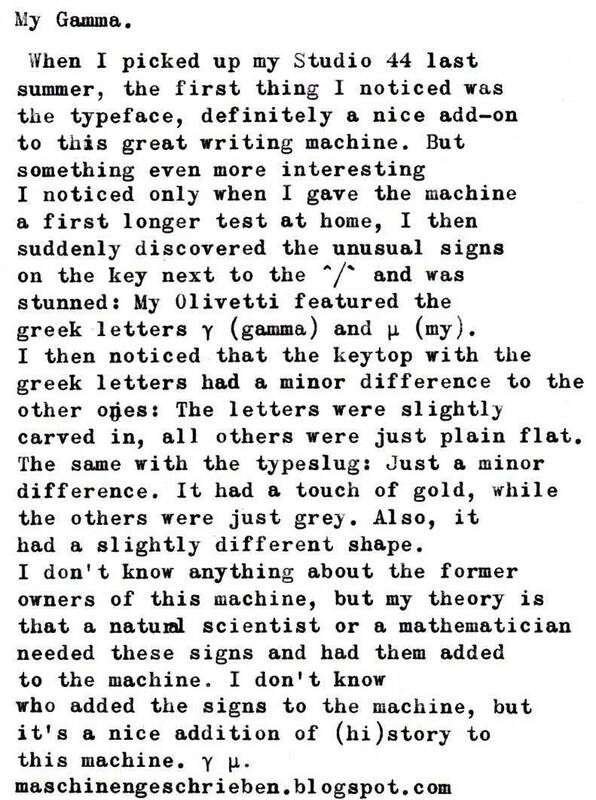 But that's just a lucky guest :) The best thing of having a typewriter with history is letting our imagination running free. And the typeface is really beautiful.